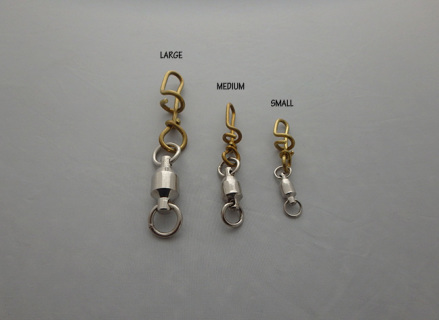 Using corkscrew swivels makes tackle changes quick and easy and helps prevent jig loss due to chaffed line from connecting directly to the jig. Use large for heavy tackle, big jigs, and heavy duty fishing. 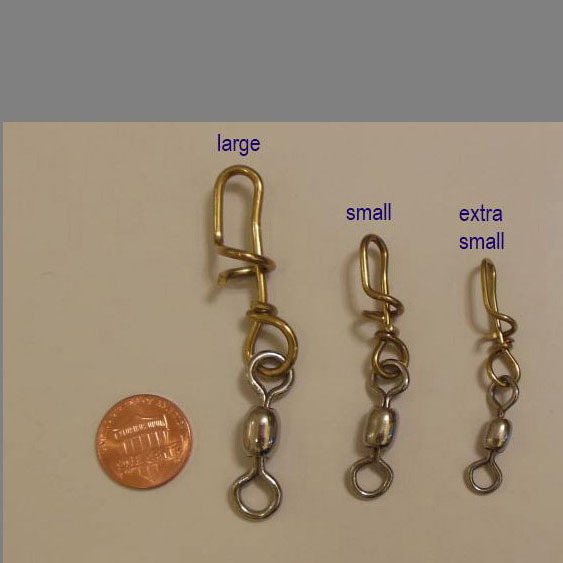 Using corkscrew swivels makes tackle changes quick and easy and helps prevent jig loss due to chaffed line from connecting directly to the jig. 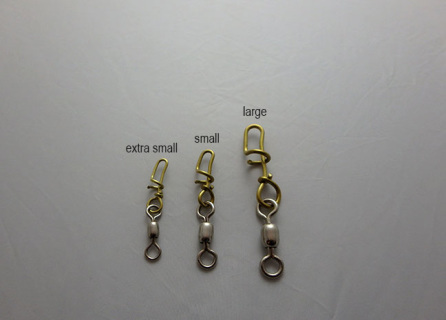 Small corkscrew swivels work well with all the jigs on this site. Using corkscrew swivels makes tackle changes quick and easy and helps prevent jig loss due to chaffed line from connecting directly to the jig. 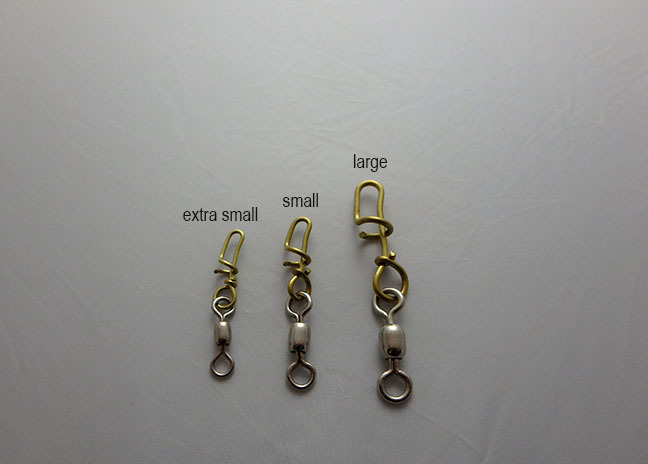 Use extra small with small jigs and light lines. Custom made ball bearing corkscrew swivels. 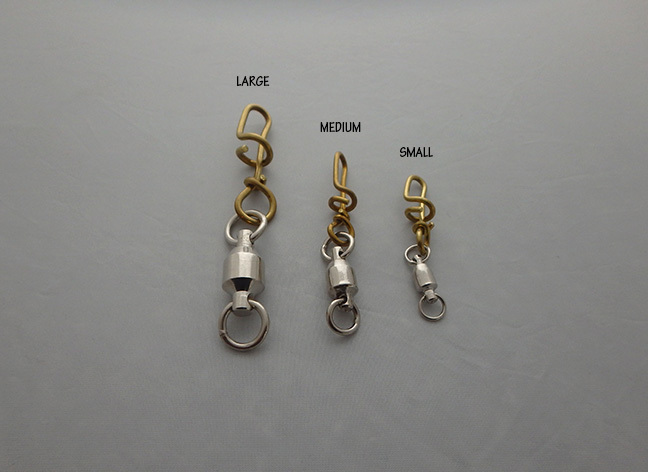 These are the biggest swivels that we sell. Custom made ball bearing corkscrew swivels. A good size for use with any of the jigs available on this website. Custom made ball bearing corkscrew swivels. A good size for small jigs and light lines. Customers ordering on this site from outside the USA or with orders under $12.00 may be asked to send additional money to cover the cost of shipping before their products ship. You can avoid that delay by ordering these products from SquidLures.com.